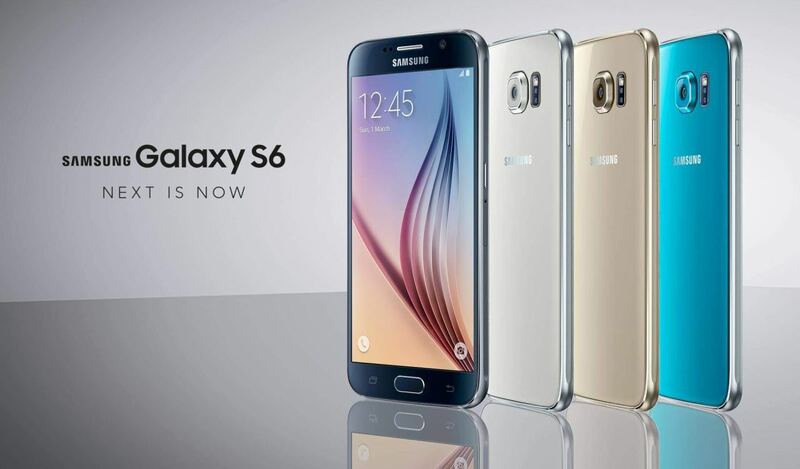 The Samsung Galaxy S6 is Samsung’s latest flagship smartphone. Some people are already calling it one of the best Android smartphones available on the market. Every year, the Galaxy S is released with new specs and features. The new 2015 Galaxy S6 is no different. The S6 is facing strong competition these days, however. It’s being challenged by the iPhone 6 Plus, Motorola Droid Turbo, and the LG G4. Should you choose the S6 over the rest? To answer this question, let’s review the Samsung Galaxy S6 Pros and Cons. All phones have advantages and benefits, as well as disadvantages and drawbacks. The Galaxy S6 is no different. To find out if the S6 is the right phone for you, see the pros and cons below. Later on, see my buyers recommendation for the S6. The screen is gorgeous. Samsung is known for making great screens for its smartphones and the S6 continues the trend. The camera is awesome. The iPhone 6 Plus had the crown but the new smartphone camera champ is the Galaxy S6. The overall camera experience on the S6 is currently second to none. Wireless charging. Once you use a wireless charging phone, you won’t go back to plugging a USB cable into your phone. Wireless charging is so darn convenient! Attractive design. Yes, it does resemble another phone that will not be named. I still have to give the S6 props for its good looks. Accurate fingerprint reader. You may read that the fingerprint reader isn’t 100% on the S6. I initially thought this as well. I now find the S6 fingerprint reader to be super accurate. To get the best results, make sure you calibrate the reader with every inch of your finger, including the tip, the base, the sides, etc. Don’t just use the center of your finger when you are setting it up. Very good performance according to my limited testing (I don’t play games much). Mediocre battery. When I first got the S6, I experienced on two separate occasions a dead battery by 5pm. Unacceptable! Battery life seems to be better after a month or so, possibly related to a software updated. Battery life is still not nearly as good as my Droid Turbo. The wife is using the S6 now. Perhaps I’ll get her a battery case. Non-removable battery. I don’t believe this is an issue for most people. If you are the type that typically rocks with multiple batteries, perhaps a battery case might interest you? No micro-SD card slot. Instead, you have to buy an S6 that comes with the amount of storage you need. If you need to get external data into your S6, try this device. Not waterproof. If you like to shower or swim with your phone, the S6 is not for you. Not a fan of the interface themes, although, my wife likes them. Should you buy Samsung Galaxy S6? I think the Galaxy S6 is a great phone. However, it’s held back by its small battery. After using the Motorola Droid Turbo for several months and getting a day and a half of battery life with it, I can’t go back to watching the battery meter again. For this reason, and this reason alone, I don’t recommend the S6. I don’t know why manufacturers think people want slim phones at the expense of battery life. It boggles my mind. You could consider the Samsung Galaxy S6 Active. It comes with a large battery, plus it’s waterproof. Unfortunately, it does not come with the fingerprint sensor and is exclusive to AT&T in the US. What should you get instead? If you can wait, the Samsung Galaxy Note 5 is coming in a few months. It will have all of the features of the S6, plus a larger screen, larger battery, and a stylus pen. The Note 5 will probably be my next phone, although, it may be tough to get me to switch from my Droid Turbo. If you can’t wait, get the S6, a couple of wireless charging pads for work and home, and a wireless charger for your car. Also consider getting a battery case. Hopefully you can avoid experiencing a mid-day dead battery and enjoy an otherwise great phone.